Don’t sell yourself short! Make sure you work with an experienced agent to choose the best listing price based on homes comparable to your own. Declutter your home to prepare for listing photos and home showings. Repainting your interior, revamping your entryway and tackling small DIY projects could make all the difference. Make a great first impression by taking care of your home’s exterior! Tend to your lawn and landscaping, power wash and repaint your home and repair flaws in trim or siding. 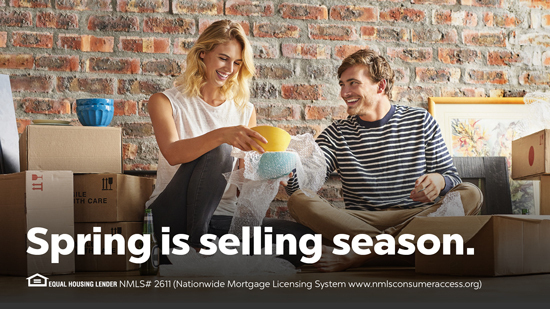 Embrace change this spring and sell your home!